The awards had three separate categories with ten recipients each: Allied Organizations, Landscape Architecture Firms, and Individual Landscape Architects. 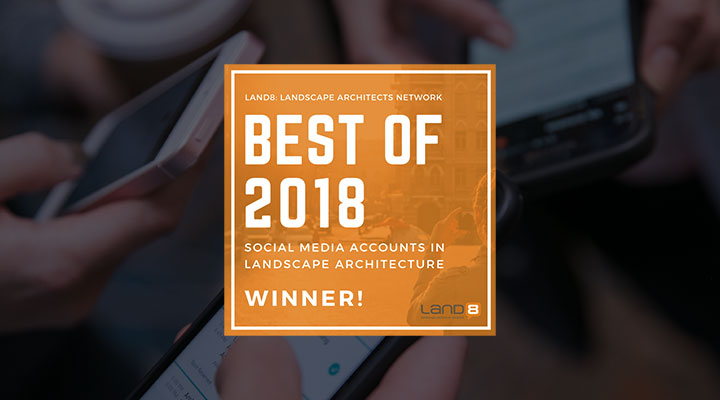 To see the full list of winners and to follow Land8’s recommended social media accounts, check out their post here. The award’s criteria for social media accounts included: visual excellence, influence, engagement, and promotion of landscape architecture. The platforms under review could include public accounts for popular mediums, such as Facebook, Instagram, Twitter, and/or blogs. If you don’t already, make sure you follow us on all our accounts: Facebook, Twitter, Instagram, LinkedIn, and YouTube. Want to learn more about our Land8 win?